Dill weed is often used to enhance seafood, meat, poultry, and vegetable dishes. 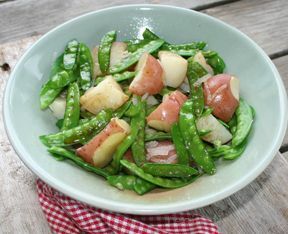 Here it gives this simple side dish a sophisticated taste. 1. Cook frozen onions in small amount of boiling water in large covered saucepan 2 minutes. 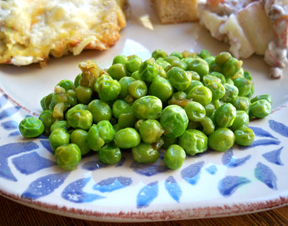 Add peas; cook, covered, 2 to 3 minutes or just until vegetables are tender, stirring occasionally. Drain well. Set aside. 2. Melt butter in small saucepan on medium heat. Stir in dill weed, garlic powder, salt and pepper. 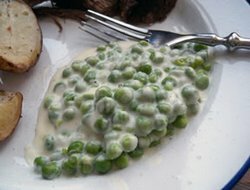 Drizzle butter mixture over vegetables; toss gently to coat.